〉Why are cleaning products added to water? 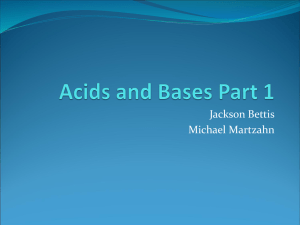 contain acids, bases, and salts? 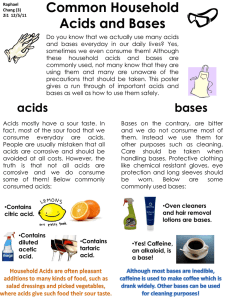 Many acids, bases, and salts are used daily in our homes. 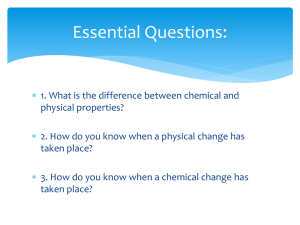 bases, and salts, answer the following questions. 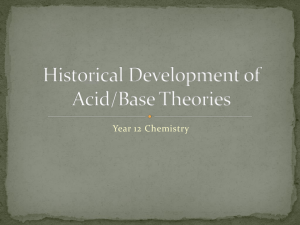 be due to an excess of an acid or a base? 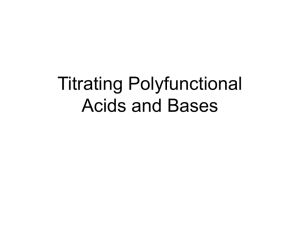 for digestion likely to be acids or bases? 〉 Why are cleaning products added to water? they help water mix with oily substances. • Soaps allow oil and water to mix. – It can dissolve in both oil and in water. • Detergents have replaced soap in many uses. – Soap scum is an insoluble salt. – Detergents do not form scum. • Many household cleaners contain ammonia. 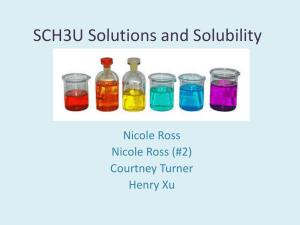 – Solutions of ammonia can clean away light grease smears. • Bleach can eliminate stains. 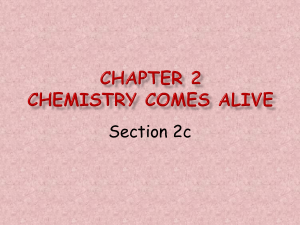 – Bleach changes substances to colorless forms. • Bleach is also a strong disinfectant. 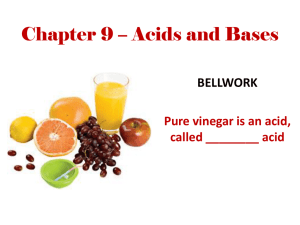 • Many healthcare products are acids or bases. – Vitamin C is ascorbic acid. • Shampoos are adjusted for an ideal pH. – The pH of most shampoos is between 5 and 8. • Your hair will look dull and lifeless. 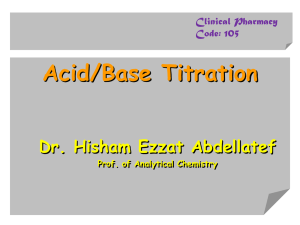 • Acids can be used as antioxidants. – Vitamin C and citric acid are antioxidants. 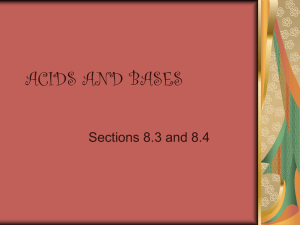 • Acids, bases, and salts are used in the kitchen. protein casein, which thickens the milk. – Many drain cleaners contain sodium hydroxide.